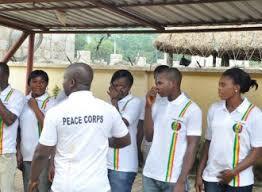 The Representatives on passage of Peace Corps Bill into law. The Senate had on Thursday read the Bill for an Act to establish the Nigerian Peace Corps (SB.173) for the third time and passed it into law, after the House of Representatives had passed similar Bill in June 2016. At a Press Briefing in Abuja on Friday, the National President of NANS, Comrade Aruna Kadiri said the passage of the Bill was a giant stride and a right step in the right direction. the past 18 years and eventually following it up this far which has placed Nigeria as the second nation to achieve this feat after United States of America passed similar Bill to law, 22nd September, 1961”. Comrade Kadiri also used the occasion to call on President Muhammadu Buhari to kindly assent to the Bill so as to drastically reduce the unemployment situations bedeviling Nigerian youths adding that the Bill will go a very long way to adequately empower, develop and provide alternative employment for many Nigerian youth. On the protracted disagreement between the Federal Government (FG) and the Academic Staff Union of Universities (ASUU), Comrade Kadiri said the government should be responsible enough to honour the agreements that was reached with ASUU in 2009. He said those who gained admission into universities in 2009 had long graduated while the FG is still dragging its feet on implementations of the agreement reached. Comrade Kadiri however said NANS had written to the leadership of ASUU and that very soon, there would be an interface where the students leaders would advise ASUU on certain issues.